Circuit breakers and fuses control the flow of electricity throughout your home. If they are worn out or not working correctly, it could cause a series of electrical problems costing you thousands of dollars down the road. This scenario is something any homeowner wants to avoid. It’s always a good idea to take care of small electrical problems before they turn into bigger ones. You can count on Markey Electric and Solar for your circuit breaker and fuse replacement services. Although you may think of a tripped circuit breaker as a nuisance, in reality, it’s protecting the appliances and wiring in the rest of your home. Also, it’s preventing more severe problems like fires. When a circuit breaker trips, it’s a result of electrical overload, meaning excessive electrical currents are running through the system. Therefore, if your circuit breakers are not working correctly, they cannot do their job which is to protect. Fuses have the same purpose as breakers which is to protect your home from electrical overload. The main difference between the two is that fuses are found in older homes, and they can only be tripped once. As a result, fuses have to be replaced every time this occurs. On the other hand, circuit breakers can be tripped multiple times. If your home is still running on old fuses, we recommend that you consider making upgrades to your electrical panel. 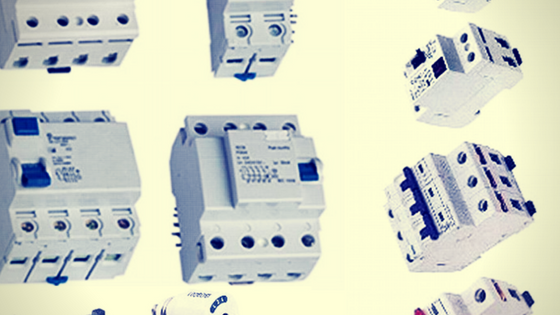 Choose Markey Electric and Solar for your Circuit Breaker and Fuse Replacement Services. Markey Electric and Solar have provided residential electrical services including circuit breaker fuse replacement for homes across Burbank, Glendale, and Los Angeles. Our electricians are highly skilled and professional individuals with years of experience. If you’re a homeowner with no time to do simple electrical home repairs or need the expert craftsmanship of a professional electrician, then contact Markey Electric and Solar. We will handle your circuit breaker and fuse replacement services at a reasonable cost and get the job done efficiently. Contact Markey Electric and Solar for your circuit breaker and fuse replacement.